This article will probably be shorter than most. “Why is that?” you might ask. Putting it simply, God has allowed me the privilege to be so active in the mission work we are doing over here in Papua New Guinea that I find it is getting harder to carve out time for my article writing. Normally, there would be the next instalment of the Bible study on the Gospel of John right here, instead of this short personal article. But let me tell you what I have been up to this past week. It’s really quite exciting when I think about it. First of all, I am involved with a team of men who speak the Tay language in PNG. We are checking the translation of James, 1 & 2 Peter into their mother tongue. I am the consultant who comes along at the end of the translation process (after they do the rough draft, village check and exegetical check of the books), and I listen to an oral back translation of the material and asks lots of questions. We want to make sure that the translation communicates well and is accurate to the Greek New Testament. The second thing that has been keeping me busy for a few weeks now is to sit down with many people here in the PNG Branch of our mission and have meetings with them. Now that may not sound very exciting, but we talking about BIG ideas in many of these meetings. We are looking at ways of how we can continue doing Bible translation, Literacy and Scripture Use among over a dozen languages here in PNG. The second reason that I am in many meetings these days (mostly lunch meetings with peanut butter and jelly sandwiches) is that I will be assuming a position of leadership within our Branch very soon. At our annual meeting in January, I was elected to become the next Director of Language Affairs (DLA) who oversees all the linguistic projects that we are involved with within the country. This position will begin officially on May 1st, but I have already begun doing some of the work of this position. Finally, one more thing that I am involved with each week, is to hold a Bible study with all the national men who may be in town at the time. These men put in long hard hours just like all of our missionary translators doing the work of translating the Scriptures into their languages. But most of them have never had the opportunity to go to any Bible College, and may have very little background on the whole message of the Bible. So it is my privilege to prepare studies of various biblical topics each week and have a time of learning and sharing with these men. We read verses from the Tok Pisin Bible (the trade language of PNG) to see what God’s Word says about the topic, and then go around the room to see if people are understanding what Scripture says. This Wednesday we will conclude a three-week series on “Who is God?” and “What is God like?” Praise God for these committed workers of God who want to learn more and more about Him. So that is what my weeks are looking like right now. I have a very full plate of activities here in PNG, but I am filled with joy in what I am doing for the Lord. It was not that long ago that I wondered if I would have the strength and ability to do much for God any more. But God has been so good to me. He began last summer to increase my strength and tolerance of being more active. There is no doubt in my mind that I am doing what I am doing by the grace of God. Well, I said this would be a shorter article. And it is slightly. But I am just so excited about what God is doing in me and through me to advance His Kingdom work over here in PNG that my fingers just keep flying over the keyboard. There is so much more to say about all this, but I will need to take the time to make separate articles about these things. And then you too will be rejoicing along with me at the marvellous things that God is doing to reach the nations with His Word, and transforming their lives. Stay tuned, there will be more to come. Last week I gave you some of the interesting background of how the advance of technology and the computer age we live in has helped the cause of Bible translation work. Isn’t it incredible to think that only a few decades ago, translators had to write all of their language data on 3″ x 5″ recipe cards and file them in their appropriate shoebox. Read about that here. Now it is impossible to think that we can do language learning and translation work without the use of a computer. Even by 1997, when I started learning the village language in that remote location in Papua New Guinea, we had brought along with us solar panels and deep cell batteries to run my computer in the village. Thank goodness for the advance technology of laptops though, because that first IBM desktop was a real bear to get to and set up in our village. So at any given time, I usually have about four languages going on inside all these windows. It would take a lot of time (or sentences) to explain everything that I can do with this program. But let me give you a peek into one corner, and show you what I do. I will open up the Hebrew language corner where I am working on the Psalms. Underneath the Hebrew text you get a grammatical breakdown of the words in green, and then an English word gloss for the Hebrew word in the light purple. I highlighted one word in yellow. One of the interesting things about Hebrew is that most of its vocabulary is based on a three consonantal root form. This particular root (שׁמר) has the basic meaning of “to guard, to watch over, to protect” . This passage is from Psalm 121 which starts with a statement and then a question in verse one, “I lift up my eyes to the mountains. Where does my help come from?” That was a good question back in the time of the Israelite kings, because there was a great deal of worshipping of idols and false gods going on back then. And many of them had shrines up on top of the mountains. This verbal form is called a “participle”, which is often used to help describe someone or something. The literal translation for this Hebrew root in the participle form would be “the One who protects”. The psalmist was confident that YHWH was the One true God, above all other gods, who could protect him. This is good, but it gets better. It is one thing to believe that God is capable of protecting those who trust in Him. It is another thing to state emphatically that He will indeed protect you in times of trouble. And this is what the psalmist does in verses 7 and 8. He again used the same Hebrew verbal root, but in these verses (and three times) he put it in a future tense, what is called the “Imperfect” form. You can see this twice in the picture above in verse 7. It looks like this: יִשְׁמָר. There is an extra consonant on front, and it can be translated as “He will protect/watch over”. No longer is the LORD simply described as the One who is able to protect, but now with bold confidence, the psalmist tells his readers, Yes, in fact He WILL protect those who trust in Him. Isn’t that so cool what you can learn about God when you are able to read the Scriptures in its original language? I’m glad that I do know a lot about basic biblical Hebrew. But imagine if I didn’t know that much about it, but still had a program like Paratext that is able to analyze a lot of the language for me. A whole world of meaning is opened up when we have great computer programs like these to help us to read and understand the Bible. I wish that I could let all of you who read this to be able to have this program I use. But a program like Paratext is given out primarily to those involved in active Bible translation projects. If you are really interested in this though, you can do an internet search for Greek-English Interlinear or Hebrew-English Interlinear Bibles online and find lots of helps. One good site is http://interlinearbible.org/ which will allow you to choose either the Hebrew Old Testament, or the Greek New Testament. We are so very fortunate to have so much available to us electronically. I will have more to say in the future. 25 “Who are you?” they asked Jesus. Jesus answered, “I am exactly who I told you at the beginning. 26 There is a lot more I could say to condemn you. But the one who sent me is truthful, and I tell the people of this world only what I have heard from him.” 27 No one understood that Jesus was talking to them about the Father. 28 Jesus went on to say, “When you have lifted up the Son of Man, you will know who I am. You will also know that I don’t do anything on my own. I say only what my Father taught me. 29 The one who sent me is with me. I always do what pleases him, and he will never leave me.” 30 After Jesus said this, many of the people put their faith in him. In our study of the Gospel of John, we have seen many times that people were having trouble understanding what exactly Jesus meant by some of His teachings. Certainly the religious leaders had no idea who Jesus really was, for if they had, then they would have gladly welcomed Him as their long awaited Messiah, the One who would bring salvation to the Jewish people. But the people who lived at the same time that Jesus lived among men could not fathom these truths either. So when Jesus talked about His Father, the people wondered about Joseph and Mary and the rest of His family. When He talked about going where they could not follow Him, the Pharisees thought He was going to teach Jews in some other countries. And the people in this passage thought maybe He was going to kill Himself. “You, of the things below you are; I, of the things above I am. Although written in Greek, much of the New Testament clearly shows us how much the Semitic Hebrew language and way of thinking affected the way their expressed themselves in their Greek writing. What we have here from Jesus is an excellent example of Semitic Old Testament style of writing called parallelism. Parallelism usually has two lines of thought that closely parallel each other. In terms of Semitic thinking, Jesus is making a HUGE statement here. In a literary way, He does this by switching from expansion (2a) to sharp contrast (2b). And notice how in 2b that Jesus moves the verb from final position to a more fronted position to really give His sentence emphasis, “I, not I am of this world.” Jesus is part of the Divine Trinity and His place of origin is Heaven. And the Greek work order and Semitic parallelism are blasting out this message to the people. But we can flip this coin over and say with confidence, “Any person who DOES have faith in Jesus for who He really is, that person will not die and his/her sins will be forgiven.” There is more we need to say about this, especially with regards to the Greek phrases “I am” which will come up again in verse 58. Suffice it to say, it is still very important today that we must put our faith in Jesus if we want our sins forgiven, and if we hope to live with God in Heaven forever. 31 He who comes from above is above all. He who is of the earth belongs to the earth and speaks in an earthly way. He who comes from heaven is above all. 32 He bears witness to what he has seen and heard, yet no one receives his testimony. 33 Whoever receives his testimony sets his seal to this, that God is true. 34 For he whom God has sent utters the words of God, for he gives the Spirit without measure. 35 The Father loves the Son and has given all things into his hand. 36 Whoever believes in the Son has eternal life; whoever does not obey the Son shall not see life, but the wrath of God remains on him. These six verses taken just by themselves can be extremely difficult to follow and to understand. Often, when we encounter a difficult teaching passage like this, there are at least two ways that we can gain help from Scripture to understand Scripture. I will do my best here to try to unearth what I believe are the deep truths being taught here. First of all, we must try to see if we can find a key thought or central message that is being taught here. It seems to me that verse 35 may be the most important truth which will shed light on the rest of the passage, “The Father loves the Son and has given all things into his hand”. This shows the preeminent place that Jesus holds, and establishes His divine authority. Keep this in mind as we unravel the rest of the passage. Secondly, it is always important to see the larger context in which a passage is found. The last verse revisits the themes of spiritual life and salvation to those who believe in Jesus, vs. spiritual death and condemnation to those who don’t believe. That was the concluding thought in Jesus’ conversation with Nicodemus. Verses 31 – 33 become clearer when we realize that this comes immediately after John the Baptist states that Jesus must become greater and he (John) must become less significant. 31 He (Jesus) who comes from above (Heaven) is above all (greater than any other). He (John) who is of the earth (i.e. is a human) belongs to the earth and speaks in an earthly way (speaks about matters that concern us in this earthly life). He who comes from heaven is above all. 32 He (Jesus) bears witness to (shares a message concerning) what he (Jesus) has seen and heard (in Heaven, ie. “spiritual truths”), yet no one (humanity in general) receives his testimony. 33 Whoever (a person who has faith) receives his testimony (Jesus’ message) sets his seal to this (gives his approval, or agrees), that God is true (that the message about God is true). You can see how tricky it can be to understand these verses unless we first carefully define each person and idea in these verses. But once we do that, then the meaning becomes so much clearer. There is a fundamental reality here, namely that there is an earthly existence (that which you and I are experiencing right now), but that there is also a spiritual existence. That is the realm of God. These two realms though, that of Heaven and that of earth, are not to be thought of as separate and isolated from each other. No, we see immediately in verse 34 that “the Father sent him (Jesus)” to come into the world and “utter the words of God”. In simpler terms, Jesus came down from Heaven to teach us all about who God is and what the Kingdom of God is like. Note one very important detail here. Even though God had sent many messengers before to proclaim the truths of God, namely prophets, Jesus is different from these messengers for it says in verse 34 that God gave His Spirit to Jesus “without measure”, i.e. completely and without limitation. Prophets had a portion of the Spirit to declare divine truths, but Jesus was given limitless access to God’s Spirit which gave him full ability to bring messages of divine truth to mankind. Throughout redemptive history, God spoke to his people through many accredited messengers. Each received that measure of the Spirit that was required for his or her assigned task. Three centuries after John wrote, Rabbi Aha rightly commented that the Holy Spirit who rested on the prophets did so according to the measure of each prophet’s assignment. Not so to Jesus: to him God gives the Spirit without limit. This brings us to the key verse of 3:35, “The Father loves the Son and has given all things into his hand.” And verse 36 goes on to state specifically what it is that God had given to His Son. As Heaven and Earth connect through the Person of Jesus, it is declared by the Father that the Son has the right to give eternal life to whoever would believe in Him. The opposite is also made clear. To those who do not believe in Jesus and thus disobey God, to them comes condemnation and eternal punishment. 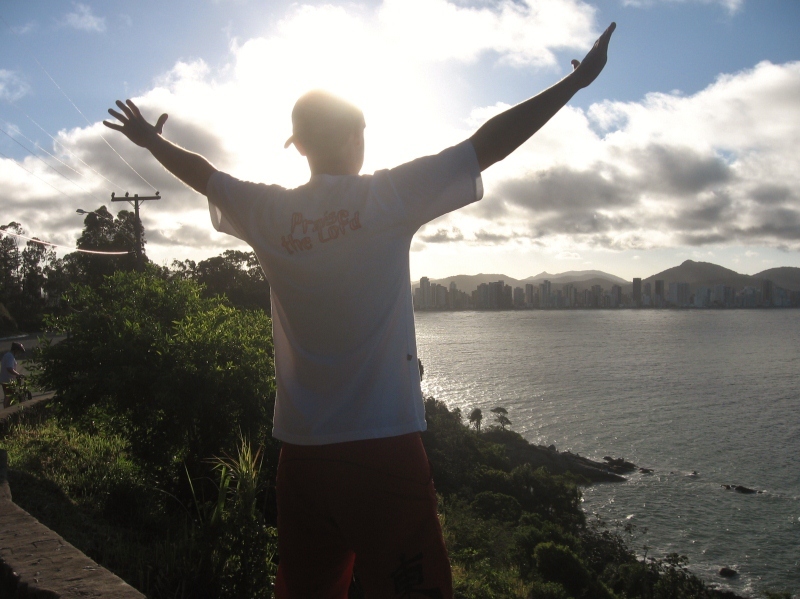 Dear friends: this life is the prelude to the next life. What you decide here in this earthly realm will determine your fate and condition in the spiritual and eternal realm. What will you decide? Recently, I was interviewed by a Christian magazine regarding my life in Christ and the translation work that I have been involved with for over 17 years now. I would like to share in a few articles the questions that I was asked, and what answers I gave to the editor of that magazine. My hope is that what I wrote will be a blessing to you, and be a testimony to the greatness of God who has empowered me to do His work. Q1: What kind of child were you and what did you dream of becoming at the time? How would you describe yourself as a young adult? Could you share one of the episodes in your early years that hint toward your future dedication to God? I was almost 12 when I first really heard the Gospel message about Christ at a big Youth Conference. I had many questions, and then early in 1973 I was baptized and gave my life over to Jesus to be my Saviour and Lord. (Read “For My Tears, Jesus Died” Nov. 18, 2010) When I was 14, I heard a missionary speak at our church, and from that moment on, I felt that God was calling me to be a missionary myself one day. “I still remember a special night in my life when I was about 14 years old and was still relatively new in my faith, only two years or so. My parents took me on a weekend campout to attend one of their Square Dance rallies. Some people brought their motor homes and campers; others put up large tents to sleep in. The big dances for the adults were usually in the evenings, which left us kids free to hang out and have fun in the tents together. Q2: When was your first serious encounter with God? Was it the big conference that took place when you were 11, or sometime much later? Could you describe that special moment in details? “Although there was much that was good about my childhood, in my elementary years (ages 6-11) I was not accepted by many other children (largely because I was so smart and liked to read books instead of going out to play sports) and I encountered many bullies who would beat me up. My parents were busy, my other brothers were much older and not around in my school. I felt very alone and in my childish perspective I thought that no one loved me. “And so in Grade 7, when I went to that Youth Conference, I was in the midst of over 500 young people, and yet I felt completely alone and unloved. I had shed many tears over the physical and emotional beatings I had received from others around me. Then I heard that song, that it was for my tears, my tears, that Jesus died. WOW!! In the last article, I mentioned that because it was the start of a new year, I would start on some new ideas for what I want to do with my article series this year. Tuesdays will be the day that I share interesting and exciting stories from the mission field written by my colleagues within Pioneer Bible Translators. Now I want to tell you my idea for the Thursday articles. I realized last month that I will be doing a lot of preparation to do the consultant check on the Gospel of John for two completely different language groups in Papua New Guinea. 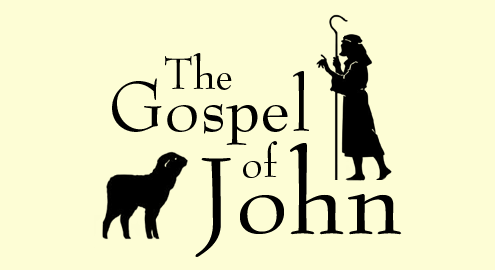 So then I thought to myself, “Wouldn’t it be neat to do a number of articles on the Gospel of John?” So far, I have worked on both translating and checking the translations of the Synoptic Gospels (Matthew, Mark and Luke). Now is my opportunity to study more deeply the Fourth Gospel. 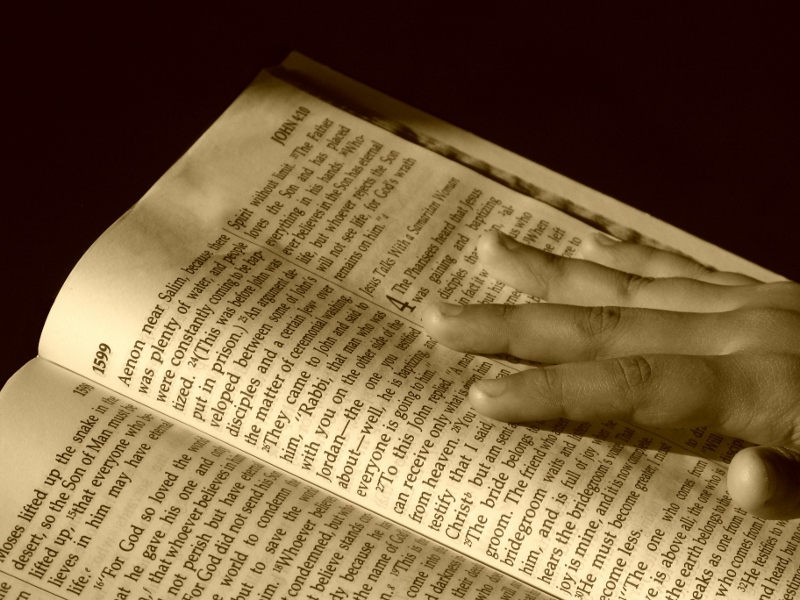 Most people agree that the Synoptic Gospels are easier to read and to translate. There is so much more narrative material in these books which gives us more action and fewer extended passages of deep and difficult theology to try to unravel in the translation. But that does not mean that there are not difficult sections to understand and translate in the Synoptic Gospels. Certainly the “Sermon on the Mount” in Matthew chs 5 – 7 is full of complexities. And the many parables throughout all the gospels contain every day words on the surface, but also carry some deep spiritual truths below the surface form which must be handled very carefully. Chapter 1 gives us not so much a historical setting as a theological setting for this man, Jesus. We know from the other Gospels that Jesus was born in Bethlehem of a Jewish mother who was able to become pregnant through the supernatural power of the Holy Spirit of God. That tells us that Jesus was no ordinary child. He in fact was God who came down from Heaven and took on the form of a man. John’s Gospel will give us more insight into the divine nature of Jesus even from his opening words of his prologue. Chapters 2 – 12 cover the entire ministry of Jesus up until the last week before his death. We see Jesus traveling extensively, starting with his baptism by John east of the Jordan River, and then moving back and forth between the province of Galilee in the north to the city of Jerusalem in the south. Everywhere Jesus went though, he astounded the people by his insightful and authoritative teachings and amazed them by his miraculous deeds. Jesus demonstrated that he was from God by exercising supernatural power over nature (turning water into wine and multiplying bread) and over any sickness or disease (healing a crippled man and also a man who had been blind since birth). Jesus even had power over death itself as he was able to bring Lazarus back to life after being dead for four days. Chapters 13 – 20 have been called “The Book of Glory”. They reveal the true depth of Jesus’ love for his disciples, and let us hear his heartfelt prayer to God on their behalf. Then Jesus demonstrated his magnificent love and his power by being crucified on a cross, followed by his resurrection from death. There is no way that you can read these chapters and not get caught up in the deep emotions (“pathos”) of those few days in Jerusalem. But these are written that you may believe that Jesus is the Christ, the Son of God, and that by believing you may have life in his name. Many scholars think that John finished writing his book at the end of chapter 20, and then later added chapter 21. We will never know that for sure. 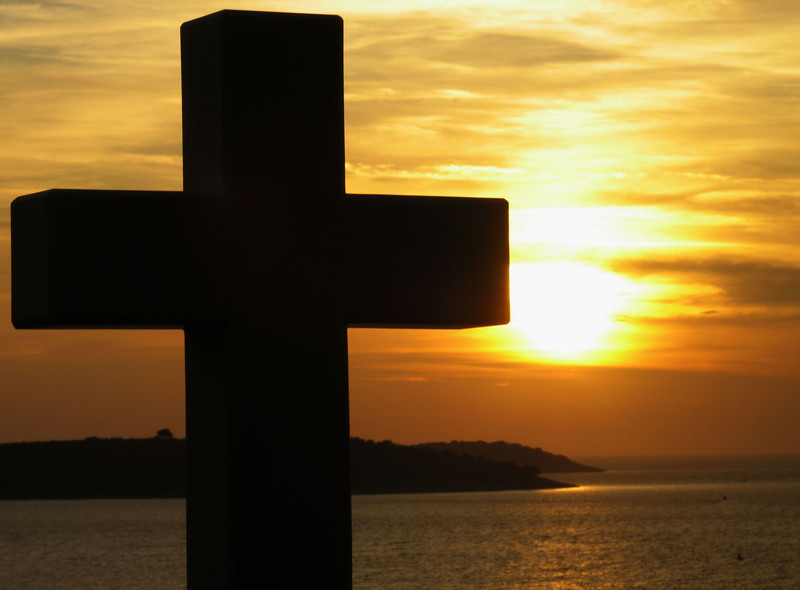 Most likely, there was some later concern among the early believers with regards to Peter who had denied his faith in Christ before the crucifixion, but afterwards was reinstated as an apostle and leader of the church by Jesus himself. This gives us a very rough outline of John’s gospel. I do hope that this is helpful to those who read this. Now what I would like to do is to go back and start at the beginning and work through the book slowly, one passage or section at a time. My desire is to try to have a balance between what the text is saying (interpretation) and how its truths can still impact us in our lives today (application). Please be praying along with me that I will be able to write very good, meaningful and helpful articles. I invite everyone who reads these to feel free to respond and interact with me as we go through the book. May God bless you as we go on this journey together. This is the last article on the series on “Prayer”. I have been blessed to be able to attend the Sunday School teaching hour at Crossroads Christian Church in Grand Prairie, Texas. In previous articles, we have covered the topics of “The Power of Prayer“, “The Passion for Prayer“, and “The Purpose of Prayer“. Now we will try to touch on “The Practice of Prayer“. Of course we will never be able to completely cover this topic, and we will be fortunate to just mention key ideas here right now. In these two verses, there is a parallelism that puts two very opposite practice of prayer into sharp contrast. The ritually religious leaders of that day would have the habit of standing up in public and delivering loud and elegant prayers in the presence of many witnesses. Even if their prayers were genuine petitions before God, it is clear that their motivation was to be seen in public, and to be considered “highly religious” in the eyes of the average person. The bottom line for the religious leaders was that they wanted to be seen publicly and so receive the praises of men. This form of outward religious performance is the very opposite of what God wants from His children. His desire is that we withdraw from others when we pray to God, because He wants us to put our full attention on the Lord, and not seek approval or admiration from men. Such people who do that Scripture says they already have received their reward (people’s approval), but we are to seek an intimate relationship with God, and He in turn will bless us here in this life, and also grant eternal life in the next. In this next short section, before Jesus tells his disciples how to pray, He first reminds them of how not to pray. Jesus says that we are not to babble when we pray to God. The picture here is that when “pagans” (unbelievers) pray, they continuously mumble repetitive prayers to God in the false believe that if we pray the same stuff endlessly to God, then surely He will hear our many prayers and He will have to answer. In effect though, these people are trying to manipulate God and believe that God will eventually give in to whatever they want. In contrast to this, Jesus tells the disciples that God already knows what our needs are. And in fact, Jesus says that God already knows what we need even before we ask Him. Remember, God is omniscient, and He is motivated by love. 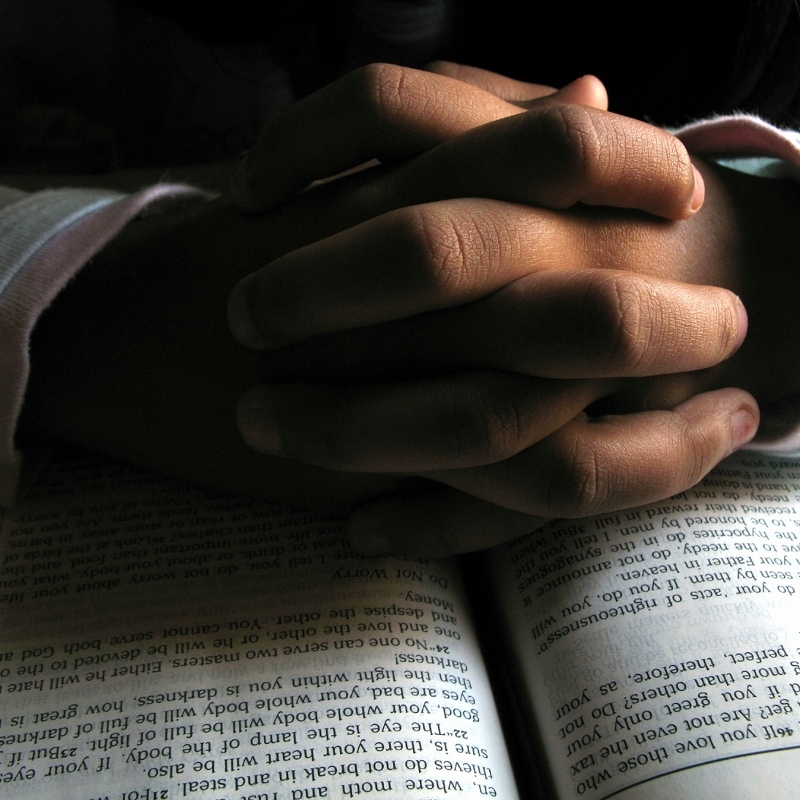 Part of the purpose of prayer is to recognize our needs and our true dependence upon God. That is often the time that God pours out His richest blessings to us, when we are humble, obedient servants who bow to His authority. Perspective: when we say “who is in Heaven; Hallowed be His name”, we perceive ourselves more accurately that we are just the creation, but He is pure and holy Creator God. Presence: above all else, we want His Kingdom to come, for Scripture tells us in the book of Revelation that when Christ comes next time, it will be an everlasting presence of God among us. Purpose: But considering that not all things are rightly in tune with the Father here on earth, then is should be our passion to seek for people to come to God and follow Him and His ways. Provision: It is finally at this point, when we recognize and honor God and seek to help establish God’s kingdom here, then we have the right to come and ask God to meet our daily needs. Pardon: And the key to all of the above is that God forgave us our sins and allowed us to have a relationship with Him. And in like manner, we are to pass on this forgiveness to all others. Protection: Then finally, we must pray for God to help us and protect us in the spiritual battle that we are engaged in with the author of our sin and our greatest enemy, Satan. This is quite the awesome prayer, isn’t it? What’s truly amazing is how simple this prayer is in reality. But I challenge you to follow the pattern of this prayer and to practice it, in the quiet part of your home and life, and see if you might just discover that the God of Miracles, and the God of Great Power is in fact still present with us today. We simply need to unleash Him through our reverent and faithful prayers.